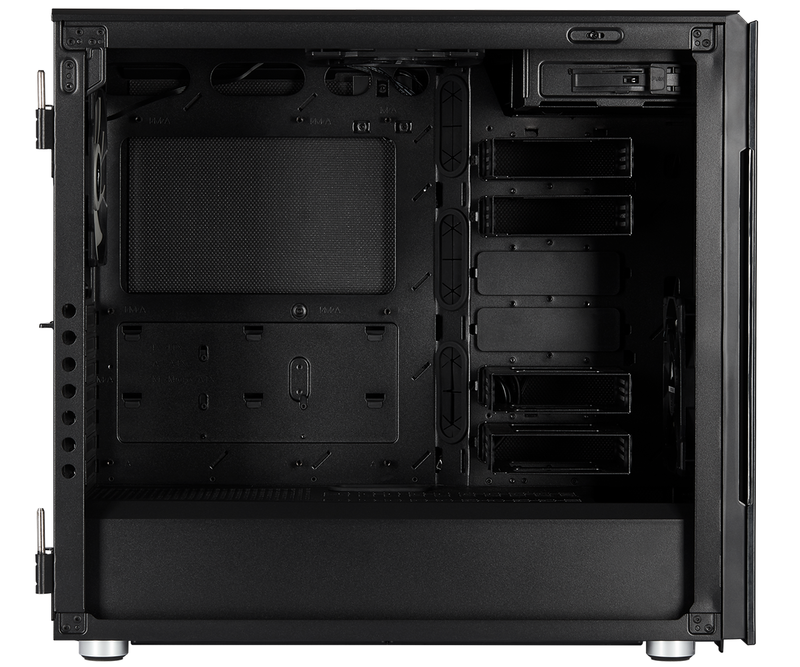 Corsair is today bolstering its range of premium ATX chassis with a low-noise addition touting "sophisticated style and serious versatility." 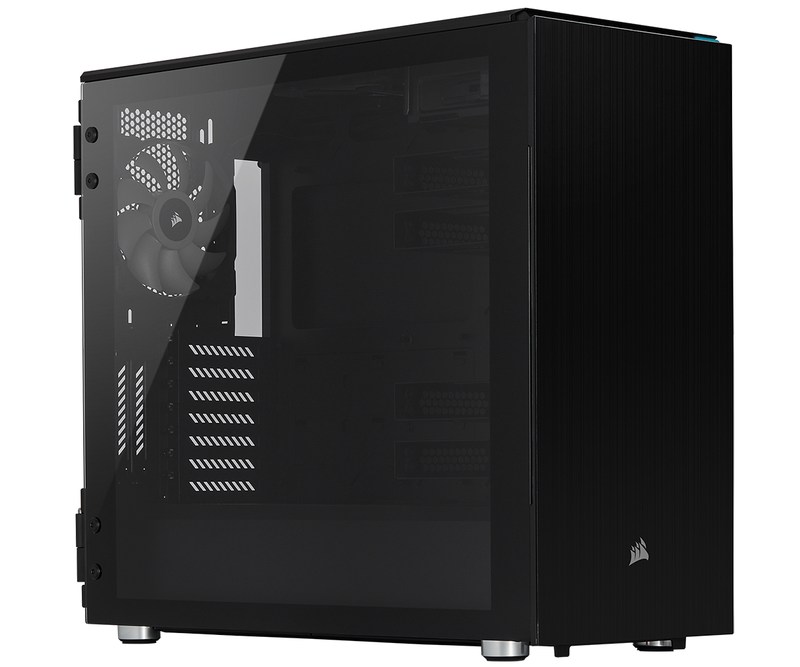 It's called the Carbide Series 678C and arrives at retail priced at £180, putting it up against the likes of the be quiet! Dark Base 700 and NZXT H700i. Having spent some time tinkering with the enclosure, what's perhaps most interesting about the 678C is that it adopts an almost old-school approach to building a PC. It is large in size, completely void of RGB lighting, and equipped with some features we rarely see these days, including a hinged front door that reveals a 5.25in optical bay - remember those? 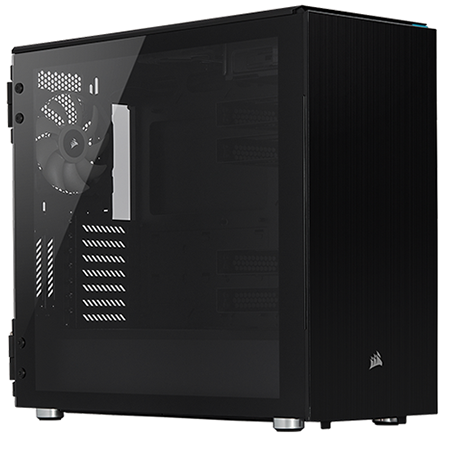 We are staunch advocates of downsizing overly-large rigs - wouldn't it be nice if Corsair sold its One chassis as a standalone solution? 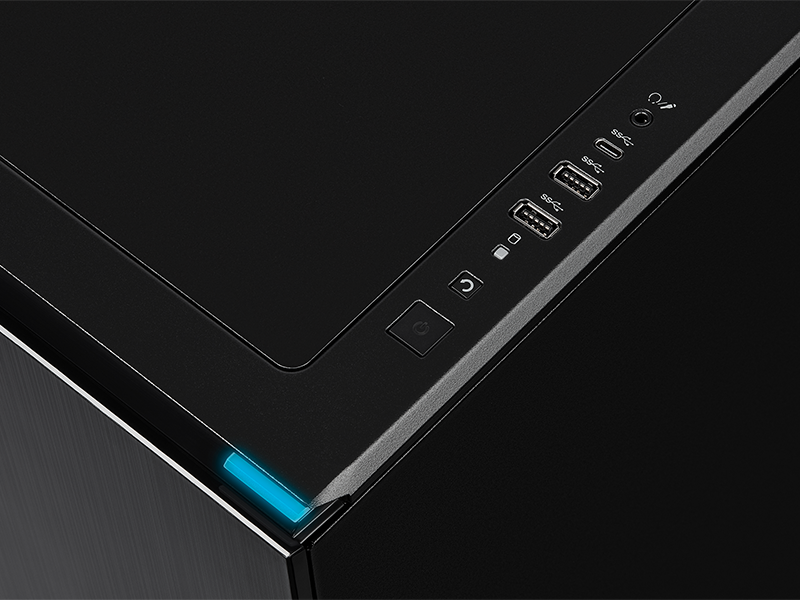 - but if you're prepared to go big, we can see the logic in having every available feature, and in that sense the 678C ticks a lot of the right boxes. 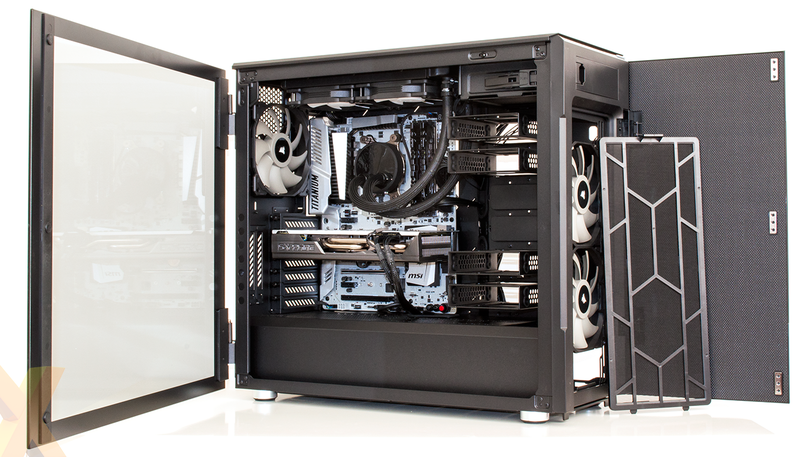 The large 549mm (L) x 239mm (W) x 497mm (H) frame has room for up to an E-ATX motherboard, there's a vast windowed side panel for showing off your gear, the front, roof and rear side panels are lined with sound-absorbing material, you get an integrated fan hub for controlling half-a-dozen blowers from a single PWM header, and the selection of I/O ports expands upon the usual combination of dual USB 3.0 and audio by adding a USB 3.1 Type-C.
Corsair's feature-set is comprehensive both inside and out. 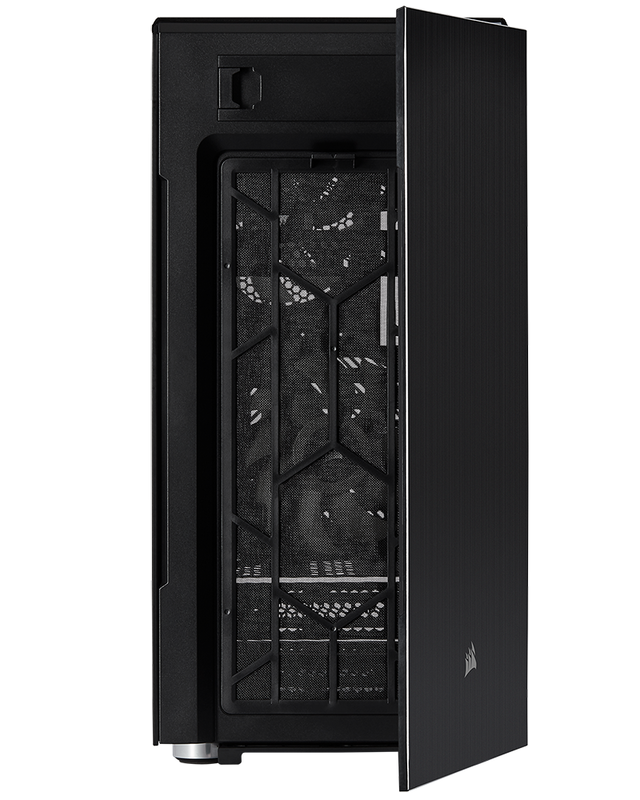 The 7+2 expansion slot arrangement allows for a vertical graphics card (albeit via an optional riser), the glass side panel can be lifted easily off its hinges to gain unrestricted access, there are six metal hard-disk bays (four attached to the modular storage column, another two in a cage at the end of the covered PSU compartment), and you also get three dedicated 2.5in sleds behind the motherboard tray. 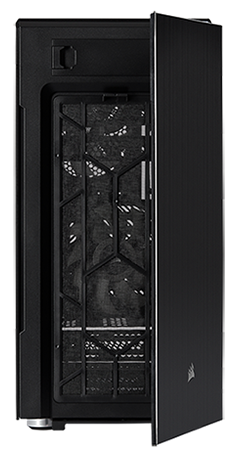 On paper, this is one of the more versatile mid-tower solutions out there, and if the all-black colour scheme isn't tickling your fancy, Corsair is also releasing a white variant. 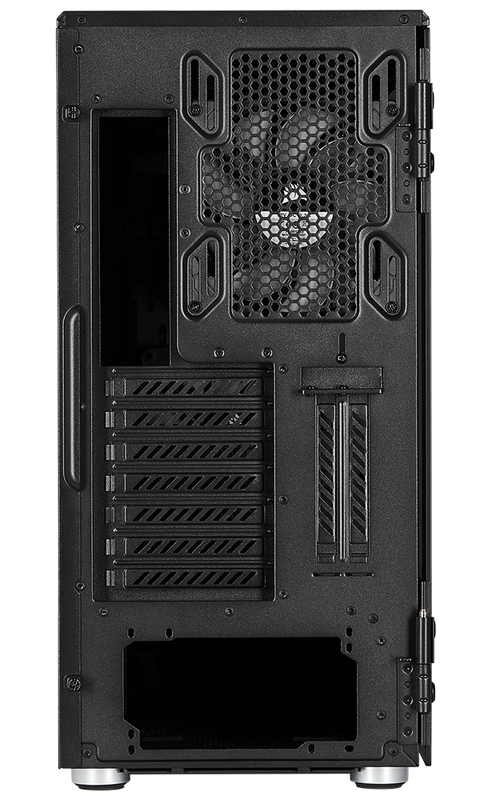 How about cooling performance? Well, the 678C has that pretty much covered, too. 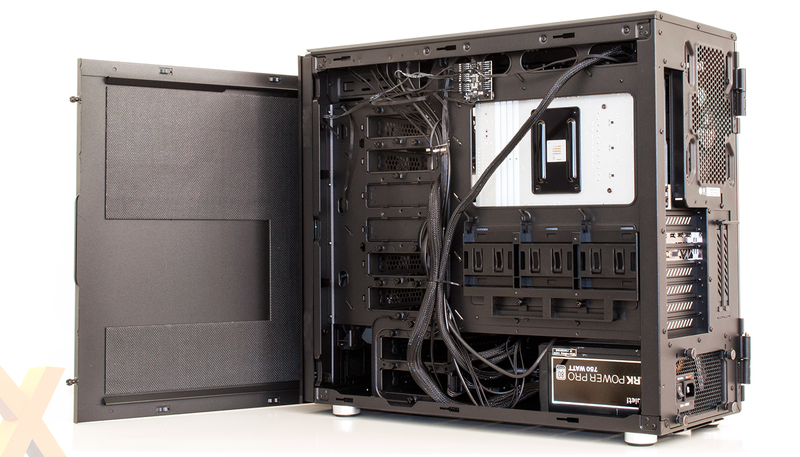 There are three SP140 PWM fans installed right out of the box; one at the rear; another in the roof; and one serving as a front intake. Of course, there's plenty of room to expand on that, as the case officially supports up to three 120/140s in the front, two 120/140s at the bottom and three 120/140s up top. That means plenty of room for a large 360mm radiator, or even a 420mm in the roof, if you're willing to eject the optical bay. 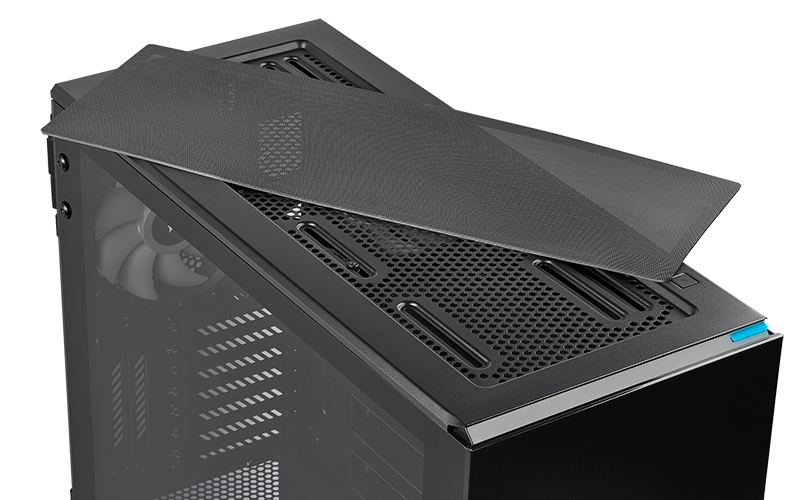 Better yet, removable filters at the front and bottom help keep dust at bay, and the top panel comes with a choice of either a performance-enhancing mesh filter or a noise-reducing solid insert. Building into an enclosure of this scale is a cinch, yet at this price point you expect great things, and the Carbide Series 678C is a tad short on wow factor. The chassis isn't, in our opinion, as pretty as the Dark Base 700, and though some might prefer the understated, boxy aesthetic, we reckon it needs something to break up the plain exterior. 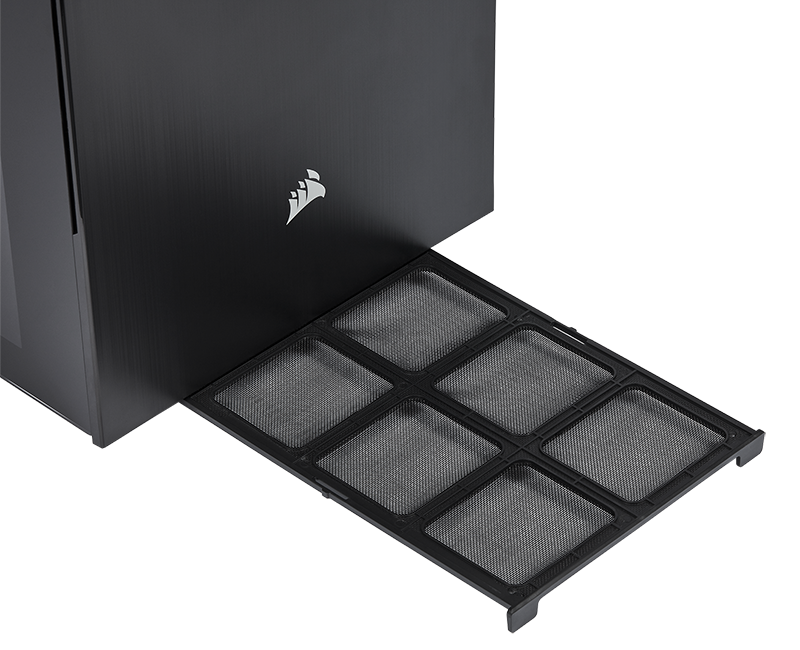 It's also a shame that Corsair includes just two 3.5in storage bay covers as standard; we'd be inclined to take out some of the unused metal trays to help aid airflow, but would prefer not to leave behind unsightly gaps. 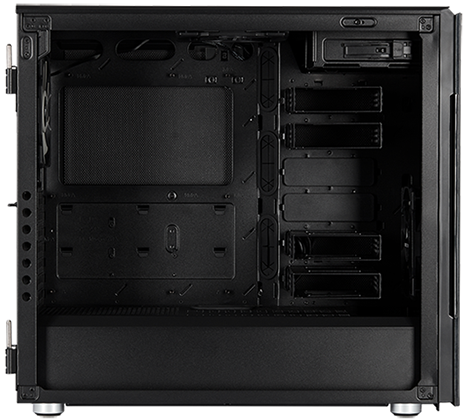 What's surprising is that overall build quality isn't up to Corsair's usual standard. The steel frame itself is suitably rigid, however the plastic front fascia and hinged door feel noticeably cheap in comparison. 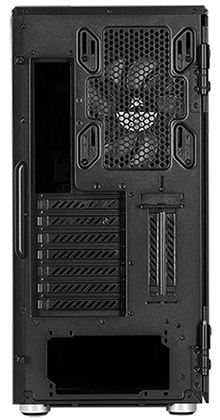 Door orientation can't be changed, so bear that in mind when considering placement, and considering the cost of the chassis, it is disappointing to find that the plastic front exhibits visible flex when the door is pushed much beyond 90 degrees. 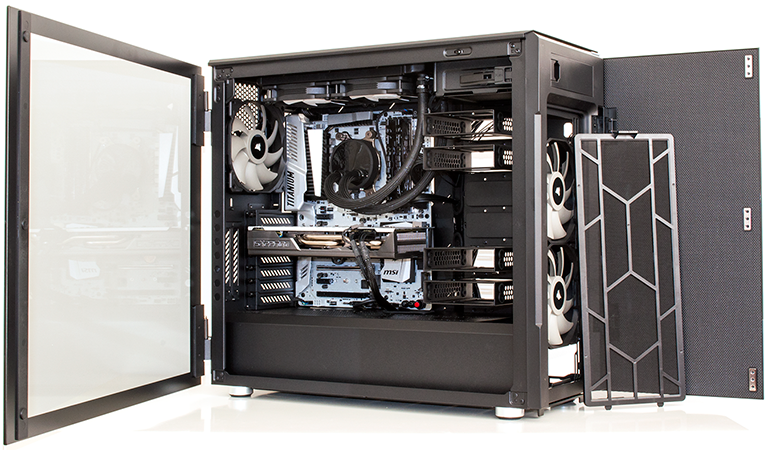 Our AMD Ryzen build has gone in with ease, and it looks tidy enough from the front, but rear cable management leaves something to be desired. 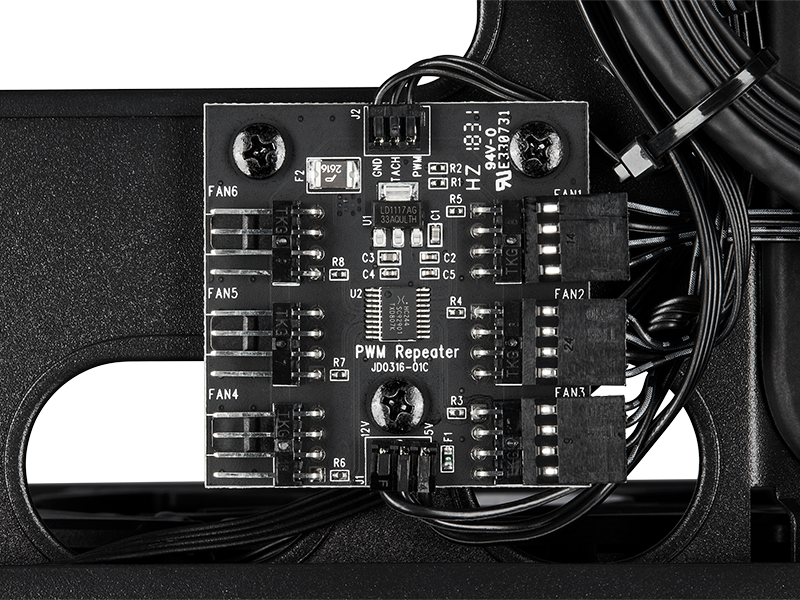 There are plenty of tie-down points, and you could argue that nobody will ever see the cables back here, yet I like to maintain a clean build and had hoped to see at least a few Velcro ties, or perhaps even a dedicated metal column, as per the Crystal Series 570X RGB. Complicating matters, the path up the right-side of the motherboard tray is blocked by the SSD trays, hence the motherboard eight-pin power connector taking a diagonal approach, and Corsair wraps the default cables in self-locking ties that are unnecessarily tricky to remove. 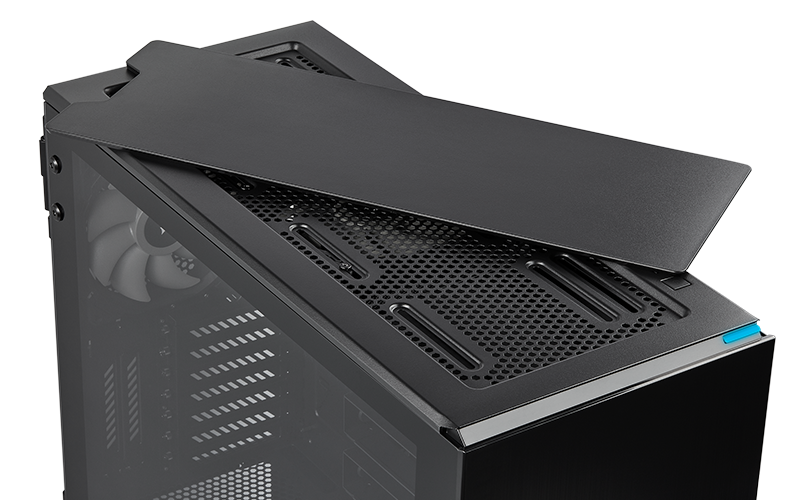 Are we nitpicking, or should these minor niggles not exist on a £180 chassis? That's debatable, so let's take a quick look at performance before reaching a verdict.